3 Why Is Physiotherapy Effective? 4 Which Conditions Can Be Treated By Physiotherapy? 5 How Are Physiotherapists Trained & Qualified? Physiotherapy is a specialist area of medical treatment concerned with the mechanics of the human body. Physiotherapists work to help restore movement and function when someone is affected by injury, illness or disability. This can include a combination of joint mobilisation and massage together with therapeutic exercises and physical agent modalities such as ultrasound. Physiotherapists treat a variety of conditions to assist patients in gaining or restoring normal functional movement. Physiotherapy is concerned with the musculoskeletal system. Physiotherapists are trained professionals that use a range of techniques to help treat and prevent disorders associated with the musculoskeletal system. This typically includes physical manipulation of joints and tissues. Exercise programs play a pivotal role in physiotherapy programs. Physiotherapy is also used to help patients reduce the future risk of illness or injury. This is a holistic form of health care that engages patients directly in their own care. Physiotherapy works together with patients to help identify, treat and prevent a wide range of health problems that may affect people of all ages. Through joint manipulation and mobilisation, physiotherapy can assist to reduce stiffness and pain. This will also help to improve the range of movement in the affected area of the body. Physiotherapist may use a massage technique to stimulate the circulation of lymph fluid around the body. This can help to detoxify the body and reduce swelling following surgery or injuries. Lymphatic massage can also help to boost the immune system. Massages are frequently used by physiotherapists during treatments. One of the benefits of massage therapy is enhanced blood flow and improved circulation. This can help to improve overall body function and maintain healthy blood pressure. Physiotherapy can help to promote healing by using physical manipulation to assist in improving blood circulation and metabolic rate, reducing inflammation and supporting detoxification. These processes may include thermotherapy techniques to alter soft tissues in targeted areas to enhance recovery. Through a range of mobilisation and massage therapies, physiotherapists will help patients to improve or recover their mobility. This rehabilitation program may also include a specific exercise regime for patients to perform independently in addition to regular physiotherapy appointments. Every injury or aliment affects individually differently and must be treated patient specific. Physiotherapy takes a human-based approach and patients are also responsible for self-care. This may include making positive lifestyle to choices to help the body recover or perform to its best ability. In the vast majority of instances physiotherapy is considered very effective. Research indicates that physiotherapy can significantly enhance rehabilitation and support the recovery of most conditions. Furthermore, this type of treatment can be important in helping to prevention of further injury. Physiotherapy is often an essential part of a patient’s treatment plan. It can also be a mechanism to help with relaxation and reducing stress. This can help to accelerate recovery and support an overall positive outlook. Which Conditions Can Be Treated By Physiotherapy? Physiotherapy can be applied to help alleviate stiff, sore muscles. Massage therapy will encourage blood flow around the muscles and reduce tension. This can help minimise stress and inflammation in the affected area, stimulating healing. 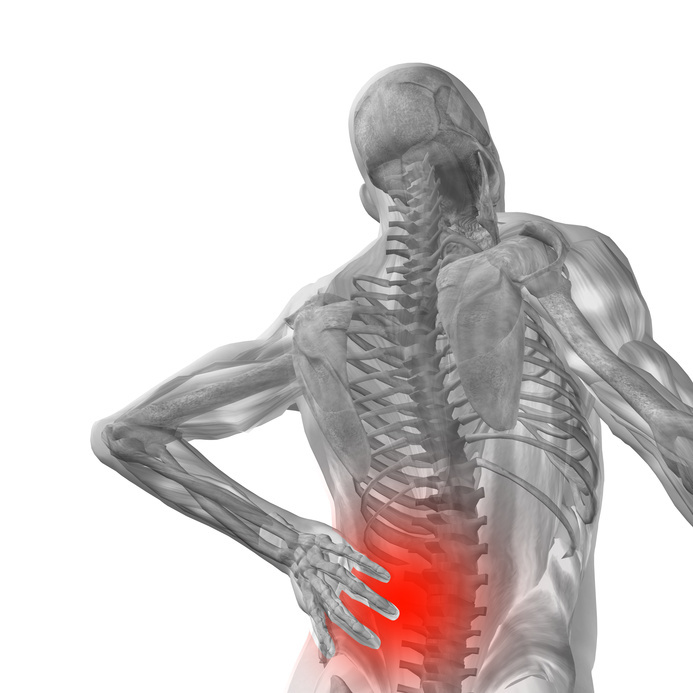 Back ache is the most common form of muscular pain that affects a high number of people. Shoulder and neck pain is also common. Arthritis is a common cause of reduced mobility, especially in older people. Physiotherapy can help to reduce the associated inflammation and discomfort, increasing the blood flow to the joints and muscles. This can not only reduce pain, but also enhance mobility and extend the range of normal physical movement. Physiotherapy can also help older people build and maintain strength and balance. People who regularly participate in sporting activities put their body under a lot of stress. It is not uncommon for sports players to experience aches and pains following physically demanding activities. Physiotherapy can be used to accelerate recovery, improve flexibility and increase strength. In cases where an injury has been sustained, physiotherapists can help to stimulate healing and accelerate the rehabilitation process. Physiotherapist can recommend a series of exercises to help ease breathing a clear the chest. This can be beneficial for people that suffer from conditions such as cystic fibrosis, pneumonia, lung cancer and asthma. Physiotherapy may be used to control and ease pain, plus improve posture to make breathing easier. One of the key areas of physiotherapy is working on recovery and rehabilitation. These processes are essential to patient well-being, especially following a complex medical problem, such as a serious accident. Pulmonary and cardiac rehabilitation programmes are frequently carried out by physiotherapists to build muscle strength, improve circulation and restore normal bodily functions. 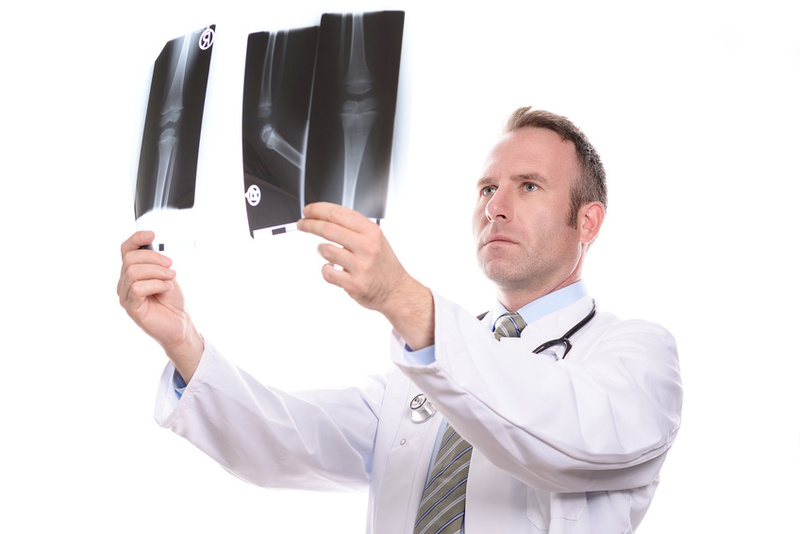 In cases where a patient has experienced a serious accident, such as a car crash, it may be necessary to learn how to sit up, walk and turn over again. In these situations the rehabilitation process is long and will require periods of intensive physiotherapy. Many physiotherapy clinics will state that they are able to help with the treatment of a broad range of conditions, injuries and diseases from orthopaedic, neurological, autoimmune and other origins. How Are Physiotherapists Trained & Qualified? Physiotherapists need to undertake extensive training before they are qualified. The length of courses and pathway of research will vary depending on the location of study. In the UK physiotherapists must be registered with the Health and Care Professions Council (HCPC). Registration requires completion of an approved physiotherapy degree. A physiotherapy degree typically takes 3 years full time to complete, of four to six years part-time. Courses will vary, although all students are required to participate in extensive practical studies. Students who have already competed medical-based studies may be able to retrain as a physiotherapist within a shorter time-frame. Physiotherapy is a well-established form of treatment and highly regarded around the world. Consequently there is a lot of scientific literature focusing on physiotherapy and its applications. However, there is also a large variation in physiotherapy techniques used by professionals. Subsequently it is difficult to determine the superiority of one technique or exercise regime over another. In 2008, Lewis and colleagues published a review of physiotherapy exercise programs to ascertain their effectiveness in minimising chronic low back pain1. The authors assessed the results of 15 randomised controlled trials (1,695 participants) and concluded that although the exercise programs were effective for reducing chronic lower back pain, no specific technique was identified as superior. A similar review carried out by Smith in 2005 found that physiotherapy treatments are effective in the management of adult and childhood complex regional pain syndrome (CRPS)2. However, although physiotherapy may be effective at treating this debilitating pain disorder, the author highlighted that the effectiveness of individual treatments within a physiotherapy program could not be accurately measured. In addition to pain management physiotherapy is often recommended for recovery following injury or surgery. There have been many studies assessing the benefits of physiotherapy for rehabilitation, and again, the results are inconclusive. A systematic review and meta-analysis by Artz and colleagues in 2015 assessed the effectiveness of physiotherapy exercise following total knee replacement3. The authors found that although physiotherapy was effective for providing short-term improvements, studies assessing the long-term benefits were absent. Similar conclusions were made by Lowe and colleagues in their assessment of physiotherapy exercise in patients that had undergone hip replacements as a result of osteoarthritis4. Although the authors concluded that physiotherapy has great potential to assist in rehabilitation, long-term studies are necessary to assess the full benefits. One of the complications with physiotherapy is that although this is a common management method for many musculoskeletal disorders, treatments programs first require a diagnosis. It is very difficult to get a precise diagnosis of the cause and effect of the physical problem. This makes it challenging to critically evaluate the exact role of physiotherapy. Nevertheless, physiotherapy remains one of the most valued and overall effective treatment options for a wide range of musculoskeletal problems. Physicians such as Galen and Hippocrates are thought to be the first practitioners of physiotherapy. These physicians advocated manual therapy, massage, and hydrotherapy to help treat people in 460 BC. The earliest documented professional group practicing physiotherapists dates back to 1813 when Per Henrik Ling founded the Royal Central Institute of Gymnastics for exercise and manipulation. Official registration for physiotherapists began in 1887, through Sweden’s National Board of Health and Welfare. Other countries soon followed. Modern physiotherapy was established late in the 19th century and became widely practiced during the rehabilitation of soldiers injured in the First World War and following Polio outbreaks. In the 1950s, physiotherapists began to move beyond working in hospitals and established out-patient clinics. In 1974, the International Federation of Orthopaedic Manipulative Physical Therapists was established. This governing body has subsequently played a critical role in advancing worldwide manual therapy, forming the backbone of physiotherapy. The philosophy of physiotherapy stems from four cornerstones of practice. Physiotherapy is an amalgamation of scientific knowledge, a holistic view of the patient, the medical model of illness/health, and empiricism in treatment. Each of these factors contributes to a physiotherapist’s scope of practice. Some physiotherapists work for private practices, are self-employed or are part of the NHS. Appointments rarely require a GP referral. However, many patients are encouraged to see a physiotherapist by their GP or other health consultants if deemed appropriate. An average physiotherapy treatment costs £50 – £60 when visiting a private specialist. Most private healthcare insurance plans will reimburse some of these costs. Each session usually lasts for between 30 minutes and up to an hour. Generally 4-5 sessions are required to treat most common problems. However, this will depend on the complexity of the health problem. NHS physiotherapists are registered with the Health Professions Council (HPC) and can be found on the HPC website. Many physiotherapists are also registered with the Chartered Society of Physiotherapy (CSP). A quick website search will help to locate a physiotherapist in your local area. Alternatively, you browse the CSP website or consult your GP for advice on choosing a physiotherapist. If eligible under the NHS, a physiotherapist will be assigned to you at the respective clinic when attending your initial consultation. Several good combination preparations for joints also contain glucosamine, chondroitin and MSM. As the health of the joint cartilage depends on many factors, combination preparations are usually superior to individual active ingredients. Joint winner in the big combination joint supplements test. Includes 600mg of chondroitin, 1,200 mg of glucosamine and many other top joint nutrients. Often sold in pharmacies, excellent nutrient stack only lacking omega-3, good value for money. 3rd place in the big supplement test with high glucosamine, chondroitin and MSM dosages and particularly high dosages of vitamin C and Manganese. Joint Winner in the big supplement test. Top nutrient stack with 1,800 mg of glucosamine sulphate and chondroitin sulphate, MSM, Omega-3 fatty acids DHA and EPA, as well as the super antioxidant pine bark extract. 1. “Smith, T. (2005). How effective is physiotherapy in the treatment of complex regional pain syndrome type I? A review of the literature. Musculoskeletal Care. Volume 3, Issue 4, (pp. 181-200).”.